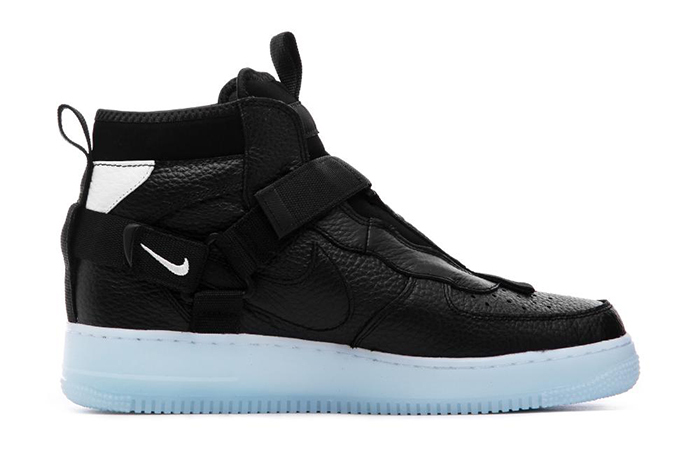 Nike Air Force 1 Utility Mid Black White will make you run wild even if you’re all out of fuel! This mid-top Utility boot is the best thing to keep your steps safe and confident. 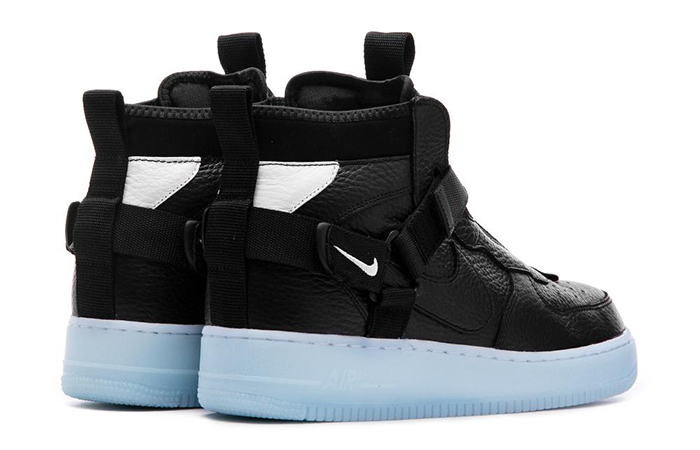 For this Fall season, the Swoosh bros are going to drop a fistful of gems in the streets. This pitch black leather beast is one of them indeed! This iteration has a much higher definition than the first generation from 1982. Bruce Killgore, the legendary designer of this runner, strikes again with a tonal black panther! 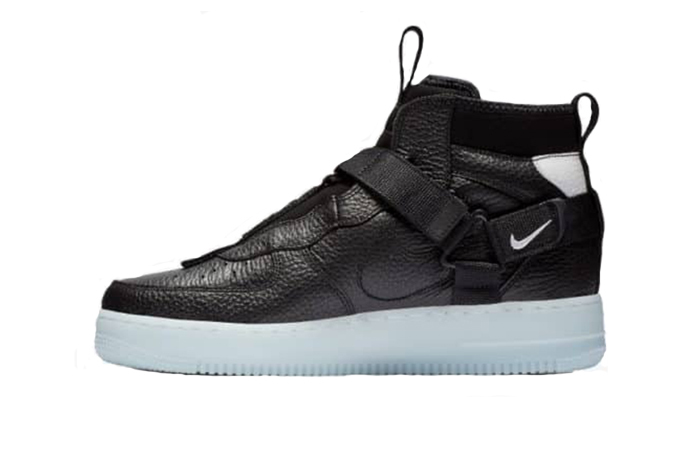 These days you can’t rest even for a little bit if you’re not following the sneaker trends! 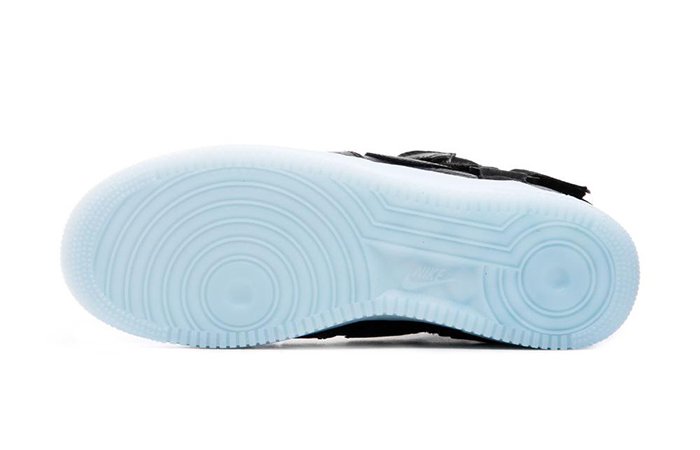 This pair propels into the sneaker lanes like a boss. Follow @FastSoleUK for more. 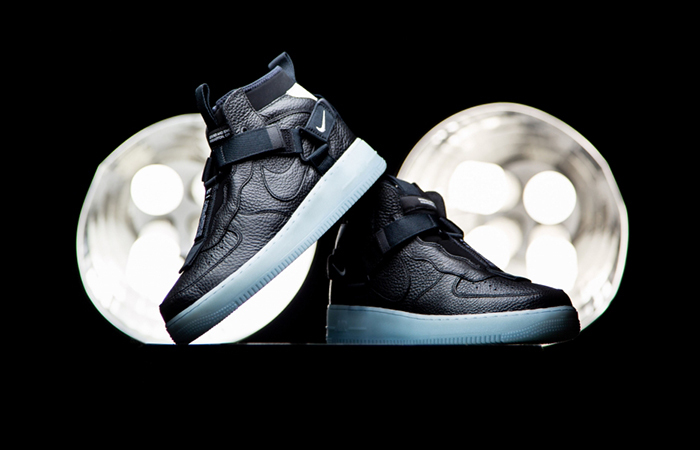 Premium leather and its sass capture your attention right away! 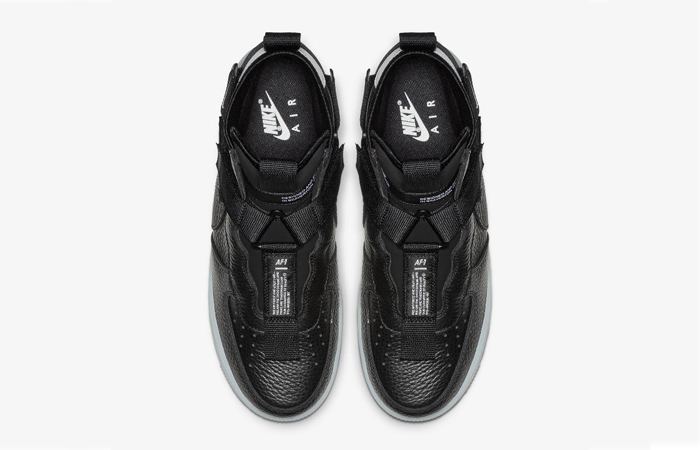 The toe box has perforations for your feet to breathe and the flexibility feature is maximum. 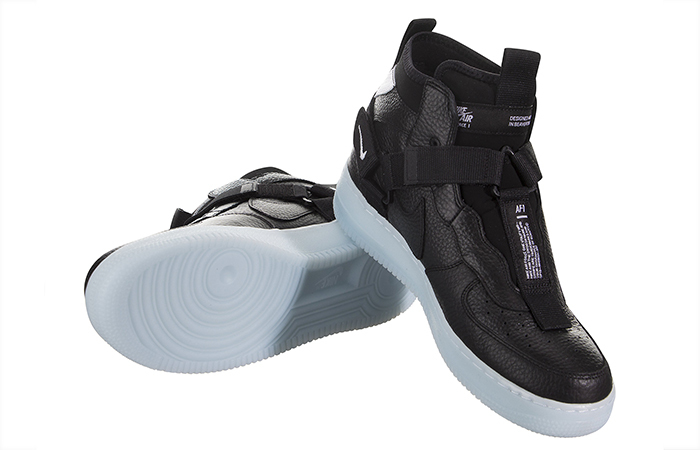 The Utility feature and Jordan classic vibes come up when you spot the midfoot-ankle safety strap. 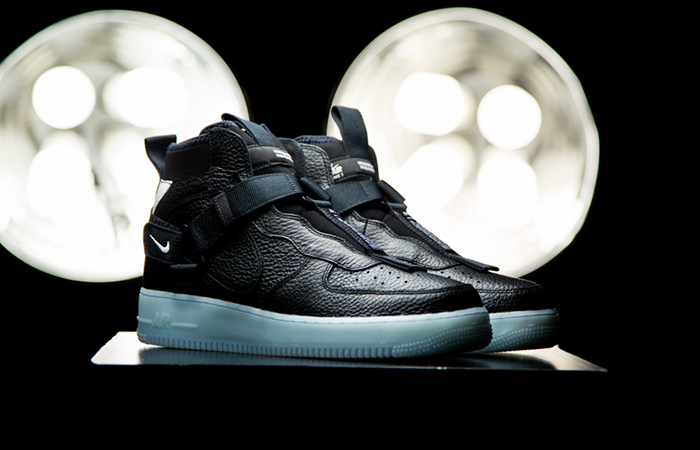 Blacked-out leather and nubuck construct this beast with white Swoosh and AF 1 midsole. 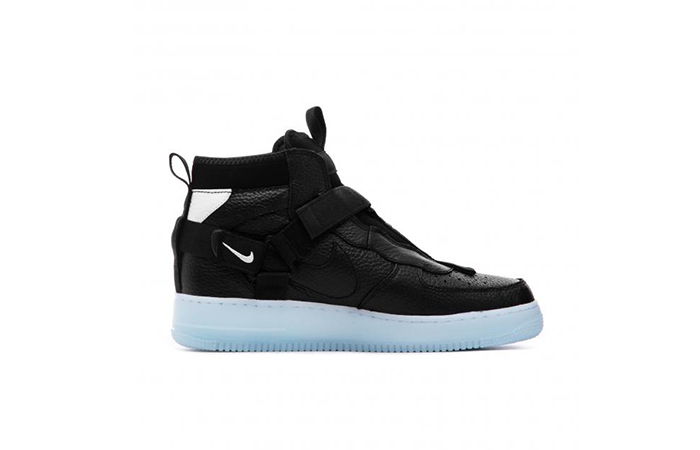 Nike Air Force 1 Utility Mid Black White releases 8th February via listed UK and European retailers.